SELECT AN OPTIONOption: Twin 39" x 75" x 10"Full 54" x 75" x 10"King 78.5" x 80" x 12"Queen 60" x 80" x 12"
Ideaworks Bed Bug Blockade Mattress Cover protects against bed bugs, dust mites, and allergy symptoms. 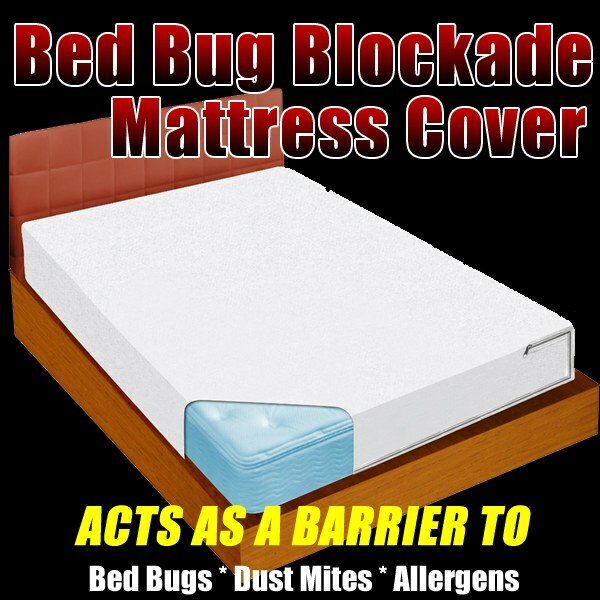 The chemical-free high density Polypropylene material is an effective barrier to help protect against bed bugs, dust mites and allergens. Machine washable. 3-sided zipper lock. Features breathable high density 100% Polypropylene material, chemical-free zipper enclosure. I Have A FULL Size Bed ... Fit Was Not Too Tight And Not Too Loose ... Very Easy To Put On ... No Loud Odour And No Sweating ... But Second Night I Did Put A Blanket On Top Of The Cover And Beneath The Fitted Sheet ... By The Way No Noise ... Love It !!! I Bought 2 Was Going To Put One On Box Spring ... I Do Not Have Bed Bugs ... I Was Somewhere And Saw Some There And Got Paranoid ... I Will Be Moving Soon So If The One On Here Get Ripped Or Damanged I Have The Extra One ... Also It Is Not As Thin (Fragile) As I Thought !!! I found the edges a bit torn. The bed bug could definitely get through that holes from the edges near the zipper ends. . I love it. I have used other "PLASTIC" Bug blockers before. But after only just a few months of use they would always "tear apart". But this one so far is more durable. And comfortable too. Peace of mind is so underrated. Great size for mattress pad too.No plastic noise awesome! !